Published: Thursday, July 12, 2018 Over the last year Kipp & Zonen has received a lot of questions about albedometers from customers working in the Solar Energy market. These came from engineers and researchers working with bifacial PV modules. 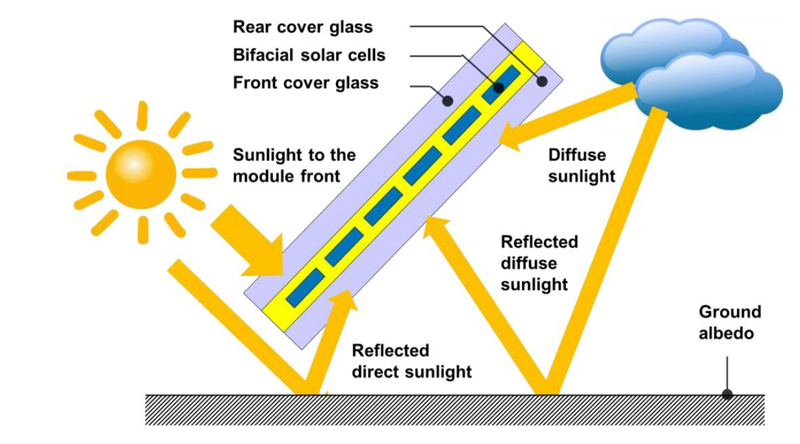 Bifacial simply means that the back of the PV module has a glass panel, instead of an opaque metallized backing, and can collect light and generate electricity from both sides. This does mean a different and more expensive cell and module construction but the price premium is reducing and is offset by the increased energy yield from the available sunlight. Bifacial modules are available in a conventional framed construction or as glass-on-glass modules, both with their own advantages. Solar irradiance reflected by the ground can be captured by the underside of the modules, which are often mounted on single-axis trackers. 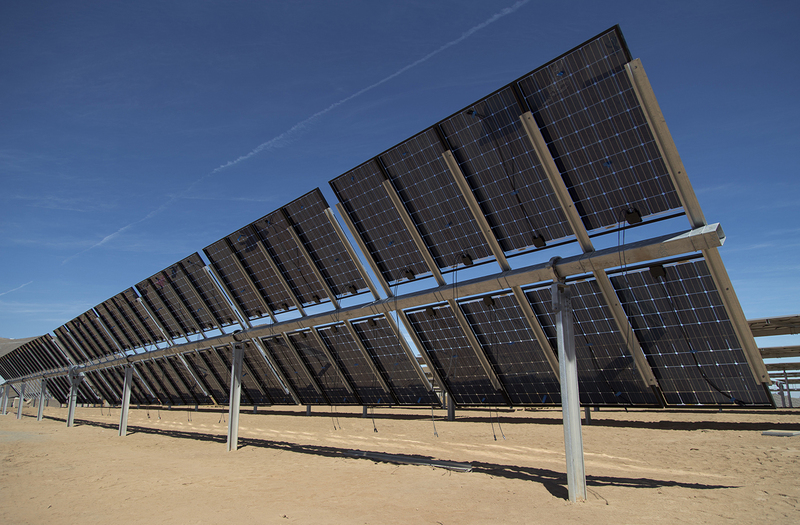 Bifacial modules require more space between the arrays to allow direct beam and diffuse sky light to reach the ground and be scattered back to the modules. Depending on the type and height of the modules, row-to-row spacing and how reflective the surface is (albedo) the energy gain can be from 10% to 25%. 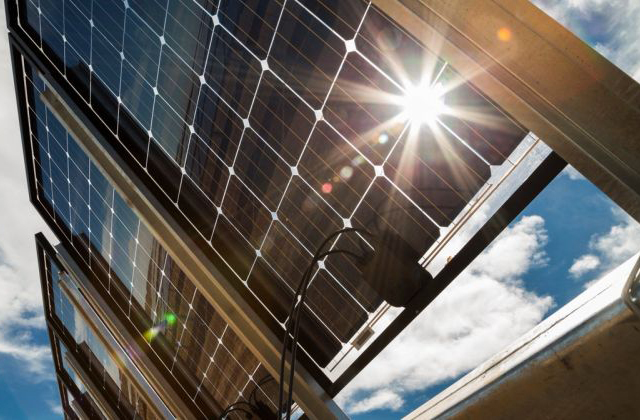 The number of manufacturers is growing and bifacial installations look sure to take off. What is an albedometer and what does it measure? Albedo is defined as the ratio of the diffuse reflection of solar radiation to the total incoming solar radiation, it is dimensionless and expressed as a number between 0 and 1. Where 0 is total absorption and 1 is total reflection. For example green grass has an albedo of around 0.25, dry desert sand about 0.4, whilst fresh clean snow is more than 0.8. 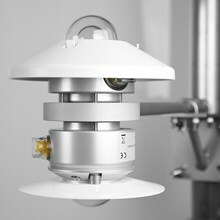 An albedometer is simply two similar pyranometers measuring simultaneously, one looking up and one looking down, either back-to-back or in a single housing. Historically albedometers were mounted horizontally and used in meteorological applications and climate research and to validate satellite data. An example is monitoring the increasing absorption of sunlight by polluted glaciers, heating the surface and speeding up melting. With the upcoming growth in the application of bifacial modules, albedo measurement is also very interesting for the solar energy market, but tilted in the plane of array of the modules instead of horizontal. For tracked installations the albedometer is normally mounted on the support structure and moves with the modules. For single-sided, monofficial, PV modules the albedo effect (ground reflected light reaching the panel) is often neglected unless the modules are at quite a high tilt angle but, even then, it is estimated and not measured. For bifacial modules the backside can contribute 10 to 25% to the total energy production, so the albedo of the surface must be taken into account. To measure the incoming plane of array irradiance for performance ratio purposes the positioning of the pyranometers is generally well understood. However, for measuring the reflected radiation coming into the back of a module there are few guidelines. 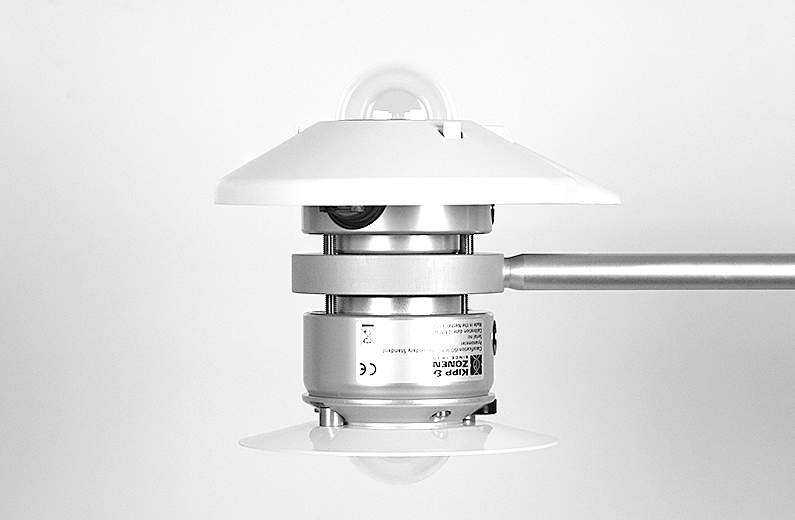 It is important to select the right location, where the pyranometer is parallel to the module and receives light representative of the array. It might not be coincident with the position of the POA pyranometer. If the conditions affecting the amount of light reflected vary along a row, it may be necessary to average over two or more downwards-facing pyranometers. The local albedo is not a fixed number but dependent on solar angle and weather conditions, such as rain or frost on the surface. It is important to make the reflected radiation measurement part of the continuous plant monitoring system along with the incoming POA and GHI irradiance. For site prospecting it can be interesting to measure the tilted albedo at different heights and/or angles and also horizontally, to compare with satellite data. Soiling of the top surface of PV modules is the subject of much research and investigation. However, the back surface of a bifacial module will also get soiled and it will not be washed off by rain. There is currently little information about these soiling rates. The answer, of course, is to have DustIQ soiling monitoring systems on the underside as well as on the topside! Click here to go to the albedometer product page and request a quote for one of the albedometer kits.